RenovationPLUS is an award winning design/build remodeling contractor with over 30 years of experience in residential construction. 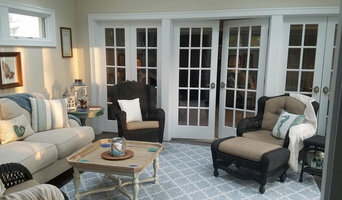 We can take care of any and all your home improvement needs from basic handyman/honey-do items including painting, plumbing, electrical to complete in-house architectural design services. Strong communication is extremely important to us. All of our proposals are very detailed and outlined so that the client has a clear understanding of project details and is able to make design or product adjustments as needed. The whole process of your project is handled in house. Our crews are our guys. This is important to us because having a dedicated crew ensures that there is an experienced, reliable, and respectful crew on site at all times. Want to see what we've been working on? Check out our Instagram @renovationplus_ ( <a rel="nofollow" target="_blank" href="https://www.instagram.com/renovationplus_/">https://www.instagram.com/renovationplus_/</a> )!! 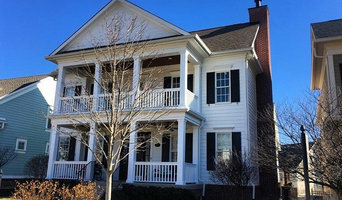 Monon Construction Group, LLC is proud to be the Indianapolis, IN, full service general contractor & remodeler with a track record that features personalized service and skilled workmanship. We create indoor and outdoor residential spaces that inspire and delight their occupants. No matter what the scope of your upcoming improvement project, we have the experience and skill to provide high-quality workmanship. In addition to our great customer service, we’re happy to provide qualified project planning assistance to ensure that you get great results at an affordable price. Whether you’re familiar with improvement projects or not, we’re happy to answer any questions you may have about the process. 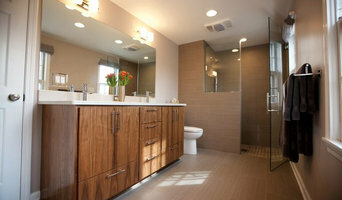 B Davis Remodeling we take pride in ensuring customer satisfaction, which is and always will be our number one priority. We hire only the finest subcontractors available, and have been working with many of them for 10 to 20 years. We have been serving Central Indianapolis and its surrounding counties since 1982. Feel free to call us at any time for a no pressure consultation. Universal Roofing is a family-owned business that has been serving Central Indiana since 1986. We are a quality-driven company that offers services from minor repairs to full roof and siding replacements. By providing the highest quality work for our customers, we hope they will feel proud to refer us to their neighbors, friends, and family. Our track record over the years speaks for itself. Our most valuable asset is, without a doubt, the people that form it. Our team consists of diverse, highly-trained individuals who strive to offer the highest quality service to each customer. We have built our business on long-term client relationships. We don't advertise extensively, because most of our business comes from referrals from satisfied clients. We put our every promise in writing and will follow through those promises to assure the trust that our customers give us. If a client has a question or a concern, we are always easily accessible through phone, email or an in person visit at our office on 5950 North Keystone Avenue. We offer flexible payment options and accept major credit cards. We do our best to make it easy to afford a new roof! As a GAF Master Elite contractor, Universal Roofing installs the best quality roofs using the best materials possible. Universal Exteriors performs all exterior projects, from gutters and windows to complete installation James Hardie fiber cement siding. Mike Motsenbocker, owner of Jud Construction, continues the foundation that Jud Construction was built on into the second generation. He is a Certified Graduate Remodelor and Certified Aging-In-Place Specialist. Mike and his wife Julie have four children and four grandchildren. Jud Construction was founded by Mike's father, Jud Motsenbocker, in 1968. Jud Construction is a company that was built on the principals of affiliating itself with professional organizations and by supporting such organizations on the local, state, and national levels. We are a full service remodeling company that takes pride in our work and vast expertise of our sales staff and experienced craftsmen. 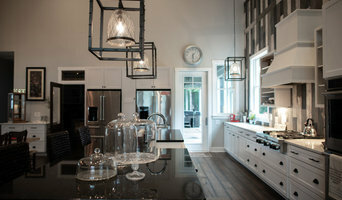 Jud Construction has 50 years of experience in home building, remodeling, general repairs, and CAPS modifications. Jud Construction's entire sales staff are Certified Aging in Place Specialist (CAPS). Jud Construction’s sales team prides itself on understanding and meeting customer’s expectations, paying careful attention to details to ensure projects run smoothly, on-budget and on-schedule. These are just a few of the points that make Jud Construction excel in the residential remodeling industry. JUD CONSTRUCTION’S MISSION STATEMENT: Rebuilding our community with quality products, services, and workmanship thus, helping to create a better quality of life. We are a Veteran Owned business. Our family has been doing restoration work in the Indianapolis and Midwest areas since the 1960s. We provide service that you can trust. We handle all construction needs. * Fire Damage * Water Damage * Siding * Roofing * Gutters * 24/7 Emergency repairs and board ups * Mold Removal * And all other construction needs! For twenty years Hunter Construction has been providing quality new construction and home improvement through quality design using quality building materials. Simply put, quality is the rule. We will work with you to design a solution that meets your needs. Whatever your new construction, home remodeling or home renovation needs, Hunter Construction, Inc. is equipped to take care of everything from design to completion. Whether for a new home with custom design, bathroom remodel, room addition, garage addition, combined kitchen and bath remodel or a smaller project, we pride ourselves in our workmanship and professionalism. We are firm believers in the saying "You get what you Pay for" so though we may not be the cheapest, our Quality and Craftsmanship are unmatched. Located in Muncie, IN. we service customers throughout the East Central Indiana area with their building and home renovation needs, and much more. Please call us for a personalized quote for your new construction and home improvement needs. We work in the masonry field with brick, block and stone. We work to get our customers projects complete. We have affordable rates and friendly staff. We are a local family owed and operated business. 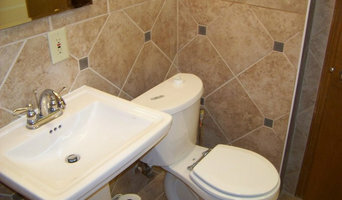 We have over 41yrs of combined experience in the Home Improvement Industry. We take a hands on approach to all of the work we do from start to finish. We offer professional residential and commercial lawn care and all around property maintenance,roofing,drywall repair/installation, and much much more!!! !